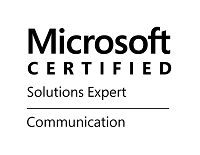 My Skype for Business Cloud Connector Edition (CCE) adventures appear to be far from over, and that is a good thing in my book. 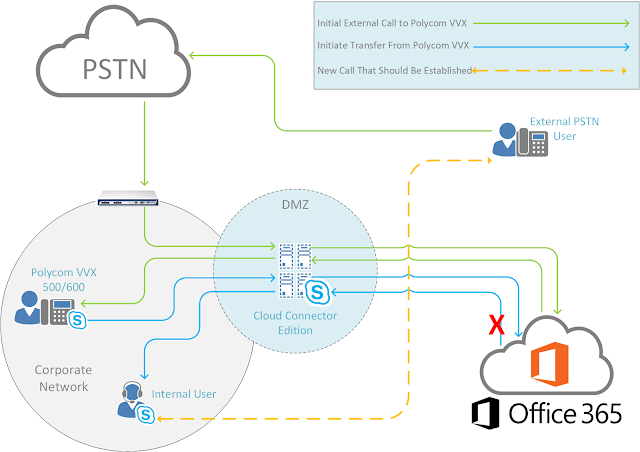 While the thoughts and opinions on CCE and its purpose have been varied, I personally see a lot of geographically-dispersed companies digging right on in, as they are wanting to become full-Office 365 adopters, but must account for the fact that PSTN Calling is still quite limited in its availability across the globe. Note: This has only been tested on Polycom VVX 500 and 600s, though it may also pertain to the lower-end models, or other Polycom handset series. Imagine a situation in which you have a Skype for Business user in your CCE environment, let's call them Jim Bob, and they have not adopted the "No More Phones" mentality yet. They have been using handsets for years, and they simply LOVE their Polycom VVX 600. After all, it is a pretty slick handset! At any rate, your CCE environment is set up properly, everything is working, and this user has been otherwise happy as a clam (I want to know who the psycho is that allegedly determined that clams are even generally happy creatures. Seriously, think about their existence; how on earth can that possibly...I digress). One day, some one external to the company calls Jim Bob over the PSTN, and this call gets routed through CCE and to Office 365. At this point, Cloud PBX knows which endpoints Jim Bob is active on, and dials him on those. This is when his Polycom VVX 600 rings. Jim Bob cheerfully answers the phone, and after a few minutes of stimulating conversation, he realizes that the call actually needs to be forwarded to a colleague in a different department. No problem; Jim will just transfer the call! As Jim moves to transfer the call via the Call Control mechanisms on his VVX 600, he dials the number of his colleague, and goes to transfer the call. Unfortunately, though, the transfer does not go through, and Jim Bob now needs to figure out what to do with this caller! Please note, Jim Bob already confirmed that he was able to transfer a call from another internal user in his Skype for Business Online tenant within the same CCE deployment, so he was completely stumped about why he could not transfer a call from an external user. Now, hopefully you found this blog before doing a whole lot of troubleshooting and digging into the logs, because if you did, you will realize that the issue is fixed by something as simple as firmware upgrade. You see Jim Bob's company tries to keep their phones updated with the latest firmware as much as they can, but there was a new firmware version from Polycom for the VVX phones, 5.4.5, that did not get released until October 3, 2016. While Jim Bob was experiencing the issue, this version was still and Beta and not publicly available, making the Call Transfer problem a difficult one to work around. 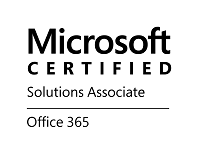 Version 5.4.5 is certified for Skype for Business, and will most definitely fix this issue if you have come across it. In addition to this issue, there are a good couple of pages of bugs that are addressed in this version. If you have a moment after updating your phone, check out the Release Notes; there is a LOT going on there. Finally, here is a link to the latest Polycom UC Software Releases: http://support.polycom.com/PolycomService/support/us/support/voice/polycom_uc/polycom_uc_software_release.html Please note, you do NOT want to go for 5.5.0; stick with 5.4.5, as it is actually certified for Skype for Business.